Johnson Controls assesses how start-stop technology will effect change in the aftermarket over the next decade. Vehicle owners and manufacturers are seeking more efficient, powerful and safer cars than ever before, and these vehicles must meet a long list of the latest safety technology and electrical applications, which require constant observation and service checks to function properly, especially during the colder winter months where road conditions are harsher. Furthermore, over the next 10 years, the changes in the aftermarket will be driven by start-stop technology. Start-stop technology has proven to be very popular with vehicle drivers in Europe. Last year alone, almost 16 million new start-stop vehicles were built in Europe, making up more than 87% of the market. By 2020, more than 90% of all new vehicles produced in Europe will use start-stop technology. Due to these developments, the role of the battery has changed. The battery has become the heart of the system powering vehicles of all types every day. The best knowledge and expertise is required if garages are to achieve a high standard of service for every complex battery solution. Today, one out of every three vehicles on the road is equipped with start-stop technology, and could be entering a workshop for servicing. When workshops develop into battery experts, they can provide additional benefits to their customers and have a competitive advantage in an evolving marketplace. 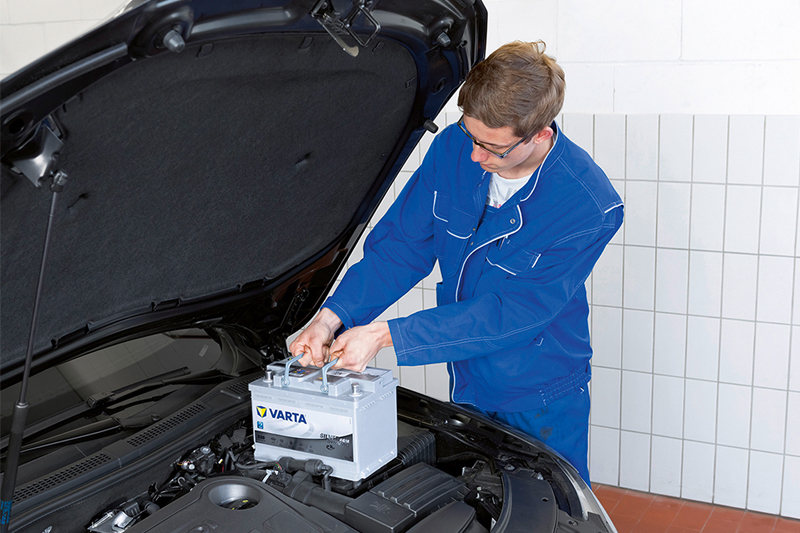 With that in mind, VARTA offers a comprehensive range of services for garages to deliver not only the best product, but also the best service solutions to customers. This includes the recently enhanced VARTA Partner Portal, which provides new online tutorials, as well as battery replacement information on an increased number of vehicles. This offering also includes VARTA Preventive Maintenance training and service solutions, taking into account the needs of a new generation of mechanic. Johnson Controls Power Solutions says it works in partnership with its customers to meet increasing market demands for energy storage on a global scale. The company creates the most advanced battery technologies for virtually every type of vehicle on the planet. According to the company, its employees develop, manufacture and distribute the smartest portfolio of lead-acid and lithium-ion technologies in the world. These technologies deliver sustainable, next-generation performance. Johnson Controls partners with its customers at every link in the supply chain.